Why marketers are going programmatic (ad buying) in Hong Kong? First off, it is important we define what programmatic ad buying is as many marketers still believe that it equals real-time bidding (RTB). Companies that are positioning themselves as programmatic agencies are continuing to provide programmatic solutions to their clients simply through RTB. This is not the full picture. The purchase of inventory must be automated using technology, and this can occur in different ways. Firstly, publisher inventory can be placed into an ad exchange; publishers can allocate the inventory they choose and set minimum (floor) prices, but essentially, many buyers will enter an auction and bid in real time for the impressions they choose. Secondly, publishers can control the buyers they allow to bid in a smaller auction; this is a private marketplace and gives both seller and buyer more exclusivity and control. Finally, publishers and buyers can enter a one-to-one agreement, determine a price upfront and see set allocations of inventory earmarked for one buyer. This is programmatic direct. The movement over recent months has been towards programmatic direct as both buyers and sellers want to know exactly who they trade with and to seek more control over the process. Based on our large blue-chip client base, approximately 50% of the Xaxis business is programmatic direct. Do note, RTB is not programmatic ad buying – it is just a small part of overall programmatic ad buying. We should note that header bidding is changing this landscape and encouraging publishers to allocate all inventory to programmatic in an effort to get the max yield for each impression irrespective of purchasing method. The ability to use data so that each impression can be chosen based on the user looking at that impression. Whether it’s a publisher surfacing user valuable data when they offer ad inventory programmatically, or an advertiser using their own data management platform to make this selection; this has become a fundamental part of succeeding in programmatic buying. Data can be as basic as: whether a user has been exposed to an ad before, whether they have visited the advertiser site or more advanced, such as their recent cross device behaviors, including their locations. A good DMP must not only collect this data, but also make it applicable to the inventory available. All these strategies are pre-set in advance and control if the ad is going to reach the right audience at the right time and at the right place. Campaign performance data should be real-time and unified across all campaigns. Marketers – as the ultimate buyer – need to be in complete control with complete knowledge, meaning one having consistent and independent measurement. Where individual websites and vendors are measuring and providing their own tracking, or where they are preventing external platforms from making targeting decisions, it is detrimental to giving marketers control. Scaling programmatic means giving marketers knowledge and control. The above three points are the must-have components that describe this process as programmatic ad buying. Furthermore, agencies that can provide insights like audience index and segment overlap about visitors to their website, have an added bonus assisting them on their next media planning strategies. So, now that we know what programmatic ad buying is, let’s discuss why marketers are going programmatic? We have seen fragmentation of media, and as a result, audiences now have access to millions of websites and apps. This means that in order to find your audience comprehensively, and in the most cost effective way, advertisers need a neutral media buying approach – one that is not constrained by boundaries that audiences don’t see (so why should we as marketers). Buying platforms with inventory from all vendors make this possible; Xaxis itself is investing in cross-device solutions to further enable neutral audience targeting wherever that audience may be. Certain publishers are large enough to warrant consolation of budget, though I would counter not complete consolidation. This means that even though you could reduce partners, you still shouldn’t put your entire budget with one. Unfortunately, if you’re still buying direct with vendors, you are subject to their definition of your target audience, and they will all be slightly different. Marketers want to refine their own definitions using a range of data inputs (including their own data) and then buying that definition consistently across all vendors. For this reason, marketers are embracing programmatic. Xaxis’ work with major platforms (such as YouTube) to enable Xaxis DMP (Turbine) audiences to be exclusively buyable across these is a reflection of this client demand. Finally marketers are aware that certain premium environments and large vendors were gaining control and forcing pricing to levels that meant digital media no longer was cost effective. Programmatic buying technology brought more inventory options (still deemed premium) and measurement – in terms of ROI or new metrics such as viewability or ad dwell time – into the market. In turn, this reduced demand of the certain few, accurately matching pricing to performance and marketers objectives. At Xaxis, being outcome focused and always compressively measuring this is central to our proposition, whether it is in awareness or performance marketing. Since traditional site buy and ad network buy are all about content/vertical targeting, marketers pre-judge the vertical channels through ad networks or specific sections through site buy, resulting in a higher conversion rate, engagement rate or click through rate. While there is nothing wrong with this perception, is it certainly not the best. Why? Think about a hotel/airline client that typically selects travel websites, or the travel section on a website, to place their ad. What if the audience doesn’t browse your selected website during your campaign period? You will definitely miss targeting them. My advice is to find a programmatic agency that has its own DMP with a sizable and local segmented cookie pool, in addition to real-time data updates and a mixture of targeting methods, including audience (cookie) base targeting, vertical/content targeting, keyword contextual targeting, look-alike targeting, retargeting and optimising based on KPI throughout the campaign period. If you are going to run TV ads, programmatic ad buying can even synchronise your digital ad with your TV ad, or even your competitors’ TV ad in real time programmatically (case study). Moreover, we should always track our campaign’s viewability, as well as include brand safety filtering in our programmatic setup. Last but not least, we should avoid ad fraud as it is so common in many developed markets. 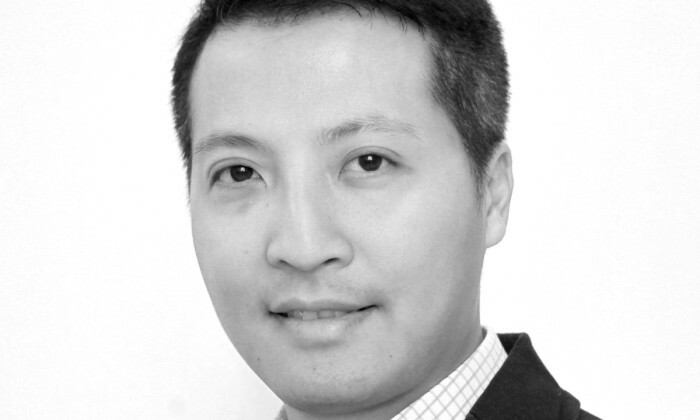 Andy Chung is managing director of Xaxis Hong Kong. The PR industry needs to stop obsessing about coverage volume, cost per click, AVE, EMV or any other vanity metric that makes us f.. Going beyond turning off non-essential lights, "Happy Earth Hour" builds on the natural ability of beer in bringing people togethe.. While the Rio Olympics might be a PR nightmare, brands are still playing their part in spreading some positivity. .. Protect the walls and bring out the dragons. ..